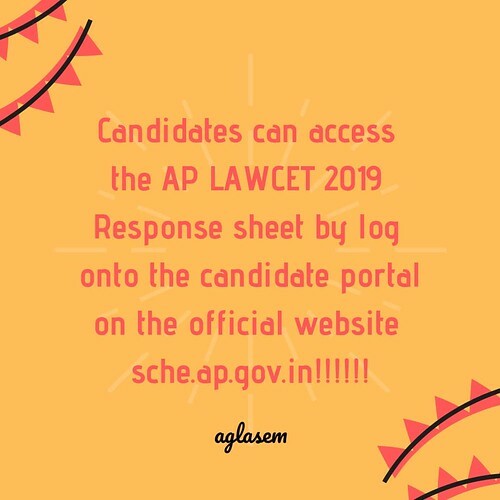 AP LAWCET 2019 Response Sheet: APSCHE will release the official response sheet for AP LAWCET on its official website www.sche.ap.gov.in. AP LAWCET 2019 is an online exam, therefore exam conducting body will most likely give the facility to check response sheet. It gets easy for a candidate to check the rough estimate of the marks by the response sheet as they can also see the answers which have been marked by them in the exam. For eg: if one candidate had marked option (a) in question number 1, then the response sheet shows that you marked option (a) in question number 1. 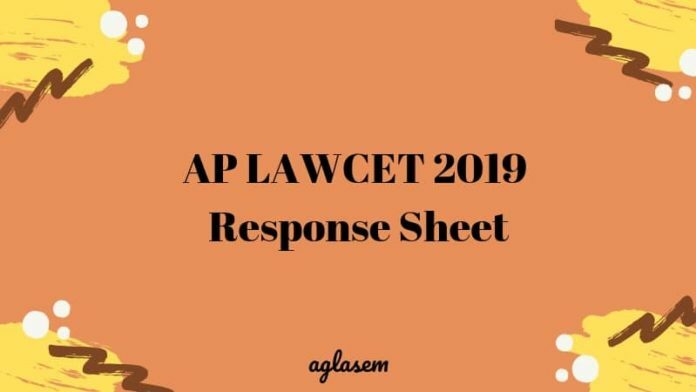 For more details on AP LAWCET 2019 Response Sheet, candidates must read the article given below. After the successful completion of AP LAWCET 2019 exam, response sheet will be published for each candidate who has appeared in the Examination. Candidates are advised to check the response sheet carefully to get the estimate of their scores. 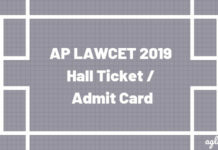 The AP LAWCET 2019 Exam date is available here. Candidates will be able to check the response sheet as per schedule is given below. Only the official date for entrance test has been released. Response Sheet: The response sheet of AP LAWCET 2019 exam will be available on the Official Website www.sche.ap.gov.in. 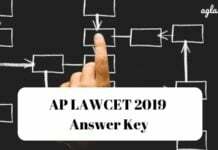 How to Check Response Sheet of AP LAWCET 2019? The response sheer for AP LAWCET 2019 will be available on the official website. To know the procedure of checking the response sheet, candidates must go through the steps constructed below. 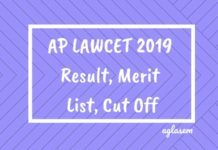 Click on the Notification”AP LAWCET Response Sheet 2019″. Candidates will be able to check the response sheet by accessing the login link for it, which will be available before the result. Now, the response sheet will appear on the screen. Candidates can carefully check the response sheet and will get the estimate of the marks scored by them. Candidates may also get a chance to challenge any question if they think there is an error. As per the schedule as soon as the answer key will be released you can raise the objection till the next day only. After that, no change in an answer key will be considered. After the declaration of answer key, the university will announce the result online. Therefore candidates can raise queries regarding any question. The AP LAWCET result for the following academic year depends on various factors enlisted below. The result will be evaluated first, then candidates will be listed as per their ranking and finally, if there is any case of the tie, then there are certain norms for that as well. Evaluation –Sri Krishnadevaraya University, Anantapuramu shall ensure that the checking of all papers is correct and fair. There are reliable and worthy processes involved in the evaluation, checking, scrutiny, tabulation, ranking. Therefore SKU/APSCHE shall not accept any requests for re-totaling or revaluation after the result declaration. Ranking – Candidates will get their ranks in AP LAWCET 2019 exam on basis of their performance in the exam. That is to say, first candidates will get marks on basis of correct and incorrect answers. Tie-breaking – For this, marks in part C of the exam are given priority (candidate with higher marks in part C gets better rank). Then marks in part B get priority. If the tie persists then both candidates get the same rank. However, the candidate whose age is older than the competitor one is preferred more for the shortlisting purpose.